NEW DELHI, India, November 17, 2015 (ENS) – Freshwater campaigners are welcoming new guidelines issued by the government of India that strengthen regulations governing the use of groundwater by industries. The new guidelines from the Central Ground Water Authority, CGWA, the national groundwater regulatory agency, took effect on Monday. They will apply to all industries using groundwater, regardless of when the industry was established. The international campaigning organization has called for strengthening the guidelines on industrial groundwater use with the CGWA and other agencies repeatedly over the last three years. The older CGWA guidelines prohibited bottling operations in areas where the groundwater was declared to be over-exploited, but only for new and expansion projects begun after November 15, 2012, the date of the last guidelines. The India Resource Center and allies succeeded in getting Coca-Cola’s plans for expansion of its bottling plant in Mehdiganj in the city of Varanasi rejected in August 2014 on those grounds. Coca-Cola India disputes the allegation that its bottling plant at Mehdiganj is responsible for the depletion of groundwater in the Varanasi region. The company cites the Central Groundwater Board’s 2012 report saying that agriculture accounts for 85.5 percent of the total ground water draft. Campaigns across India challenging unsustainable use of groundwater by industries that were established prior to November 15, 2012 were frustrated by the lack of regulations that could be used to end the abuse of groundwater resources, particularly in severely water stressed areas declared as over-exploited by the government. Of particular concern to the campaigners is Coca-Cola’s bottling operation in Kala Dera in the semi-arid state of Rajasthan, operating since 2000. The groundwater there was declared over-exploited in 1998, yet Coca-Cola continues to mine groundwater even today despite the devastating consequences. Residents of Kala Dera say that wells could reach the water table at just 20 feet in 1999, but there is no water at 500 feet below the surface today. Local people must invest their scarce funds to deepen their wells every three to four years. “Our Company is focused on initiatives that reduce our environmental footprint, support active, healthy living, create a safe, inclusive work environment for our associates, and contribute to the development of the communities where we operate,” Coca-Cola India says. Groundwater is governed by the states in India. The CGWA guidelines apply only to states that do not have well-developed groundwater governance regimes. 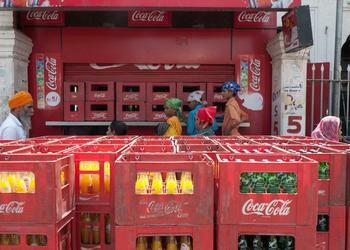 Still, the latest guidelines could affect the bottling companies, including Coca-Cola. They put an end to excessive and destructive groundwater use by industries that were “grandfathered in” under the 2012 guidelines. Under the new guidelines, all industries that use groundwater and do not have approval from the Central Ground Water Authority now must apply to the CGWA to obtain a No Objection Certificate for groundwater withdrawal. The new guidelines have a separate category for Water Intensive Industries, which includes more stringent regulations for groundwater use by industries such as soft drinks, bottled water, breweries, distilleries, pulp and paper and fertilizers. 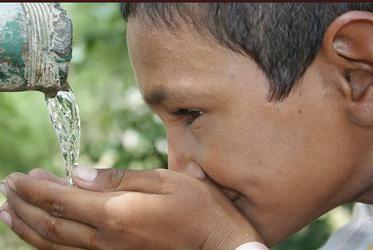 They prohibit extraction of groundwater by such industries in over-exploited areas. The stricter regulations for water intensive industries are the result of community-led campaigns across India against companies such as Coca-Cola and Pepsico. The communities have highlighted the unsustainable mining of groundwater in water-stressed areas and have sought restrictions. “The new guidelines are a significant step forward but a lot depends on whether the CGWA will apply the guidelines in letter and spirit for existing industries in water stressed areas, particularly over-exploited areas,” said Amit Srivastava of the India Resource Center. “It is time for the government to stop water intensive industrial operations in over-exploited areas, as communities across India have been demanding for years. The new guidelines allow for such action immediately,” Srivastava said. The new guidelines do allow for some industrial use of groundwater in water-stressed areas. The amount of groundwater extraction permitted is contingent upon the amount of groundwater recharged below the surface by the industry. But Srivastava points out that the guidelines fail to stipulate measuring and monitoring mechanisms for groundwater recharge, and warns that the new guidelines are open to abuse by industries unless a rigid measuring and monitoring system is articulated and implemented. The India Resource Center will be working with communities across India who are challenging groundwater use by water intensive industries in over-exploited areas to ensure that the new guidelines are applied by the CGWA when processing applications for the No Objection Certificate. The Center will also work to challenge industrial operations in water stressed areas where the industry is not recharging groundwater, as required by the guidelines.